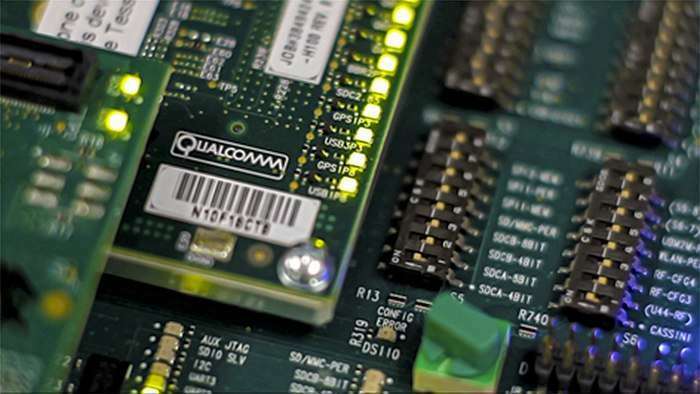 San Diego-based Qualcomm has unveiled new Snapdragon processors, which will be primarily used in low-to-mid-range smartphones. The processors in question are the Snapdragon 425, 435 and the 625. The Snapdragon 625 features some advanced features that are usually found in Qualcomm’s Snapdragon’s 800 series of processors. For instance, Qualcomm touts a 4K HEVC camcorder support for up to 24-megapixel camera sensors, unlike the 13-megapixel cap on the Snapdragon 617. It also comes with the new Adreno 506 GPU. Other than this, the processors will consume 35 per cent less battery life. Qualcomm claims that battery life improvements could convert to an added 6 hours of usage. The Snapdragon 435 is an enhancement of the Snapdragon 430, which now features X8 LTE modem with Cat 7 speeds. Other than that, it can support 21-megapixel cameras, 1080p displays and also has the Adreno 505 GPU. The Snapdragon 425 is the base model of the Snapdragon 400 family of processors and will act like the successor to the Snapdragon 410. It gets a X6 LTE modem, dual ISPs for 16-megapixel camera sensors and the Hexagon DSP. All the processors also support technologies like LTE carrier aggregation, support for Wi-Fi 801.11ac with MU-MiMo and dual camera ISPs, sensor requirements for Android Marshmallow and also Qualcomm’s quick charge technology. “The Snapdragon 435, 430, and 425 are all pin compatible and software compatible, and the Snapdragon 625 is also software compatible. These processors are expected to power smartphones available in the second half of 2016. For more specifications and details, check out the press release, product pages, and product briefs,” said Qualcomm’s Adam Kerin. Along with these processors, the San Diego-based company also announced the Snapdragon 2100 processor, which is mainly meant for wearables, with a particular focus on smartwatches. Soon, we will soon start seeing smartphones with Qualcomm’s flagship chipset the Snapdragon 820. Samsung’s Galaxy S7, the HTC One M10, the LG G5 and also the Xiaomi Mi 5 are expected to feature the processor. All these phones are expected to be announced later this month at Mobile World Congress (MWC) in Barcelona, Spain. Visit Us Now To Get Your Servers ! you are actually a excellent webmaster. The web site loading pace is incredible. It seems that you’re doing any unique trick. Furthermore, The contents are masterwork. you have done a magnificent process on this topic! I must see fb live from my blogspot page.. I have a web page for my business and there is a connect to my blog on it, this want to show the blog articles on the webpage not just the hyperlink and I actually can’t figure out how to do it. Any help will be appreciated. Hello… I would be grateful for guidance on creative writing copywright issues… When submitting poems, short stories, novels, or features to publishers and literary real estate agents to consider for guide, is it an idea to protect the copywright?.. If so , what’s the best way to do that?.. Thank you beforehand… bgscotty. I want to begin a website and I have no idea how. It has to be free and relatively simple, and I want other people in order to comment on articles/pictures. Any recommendations?. Hey Buddy!, I found this information for you: "Qualcomm Unveils New Snapdragon Processors For Smartphones". Here is the website link: https://smp-blogs.com/qualcomm-unveils-new-snapdragon-processors-for-smartphones/. Thank you.